Sphero has been around for a few years now, delivering robotic toys of all sizes. The company has recently diversified with introductions of Lightning McQueen and Spider-Man toys. However, this does not mean that the company has forgotten about its roots. 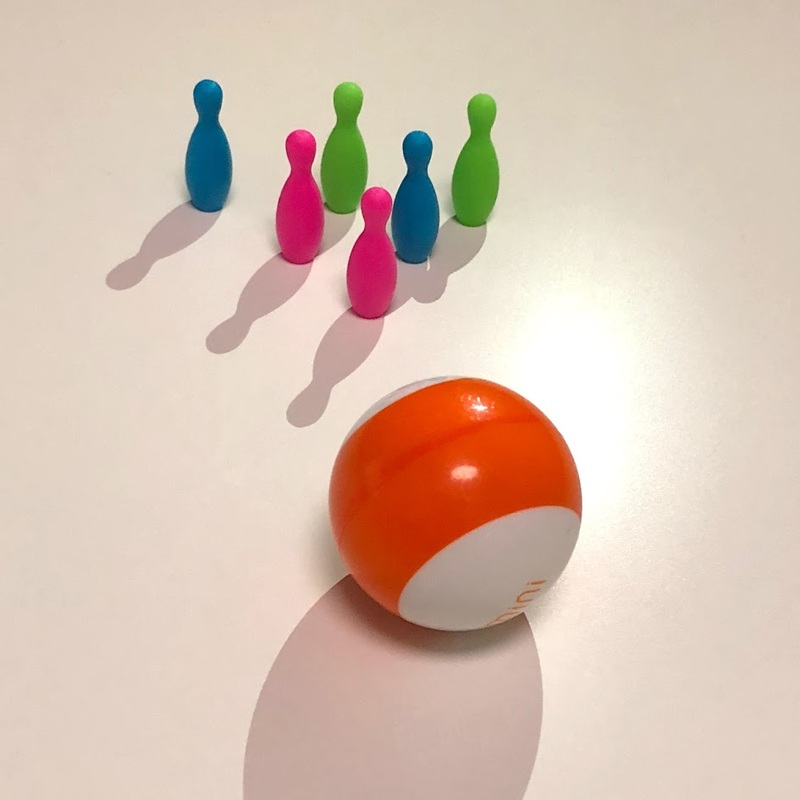 The new Sphero mini takes the fun of all their past Sphero toys and shrinks it down into a more pocket-friendly package. Once again, the device works with a smartphone app and your creative imagination. 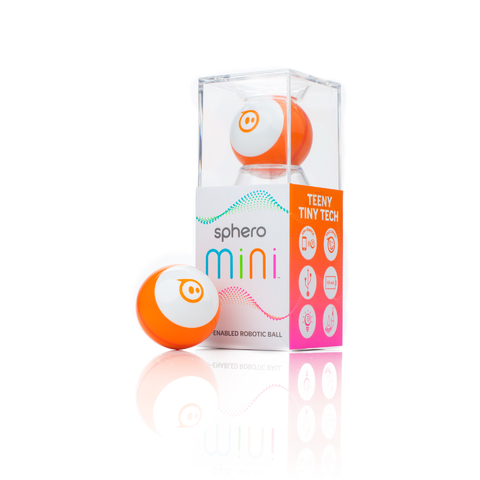 The original Sphero and Sprk+ came in at around the size of a baseball, however, the Mini is only the size of a ping-pong ball. The device has a hard plastic outer shell that comes in a variety of vibrant colours, including pink, green, blue, orange, and white. The shells separate in half, which is reminiscent of a Kinder Surprise egg, revealing the inner hardware components. The removable outer shell also means that you can buy different shells and change up the colour of your device. Removing the outer shell also reveals the micro-USB port that is used to charge the device. A full charge will last you about 45 minutes of continuous play. During my testing, the plastic shell easily withstood some serious bangs and drops, but it still lives to tell the tail with no visible scratches or dents. 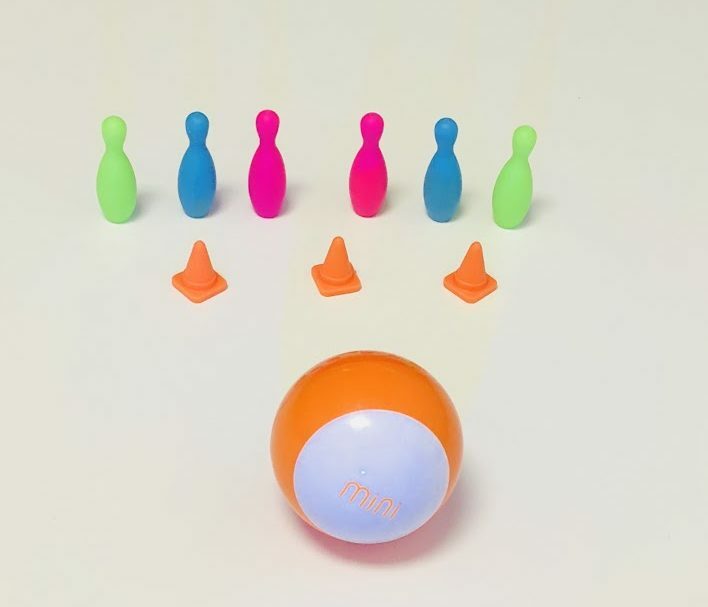 In the box, Sphero also throws in some really neat accessories, including some pins for bowling and traffic cones for slalom courses. 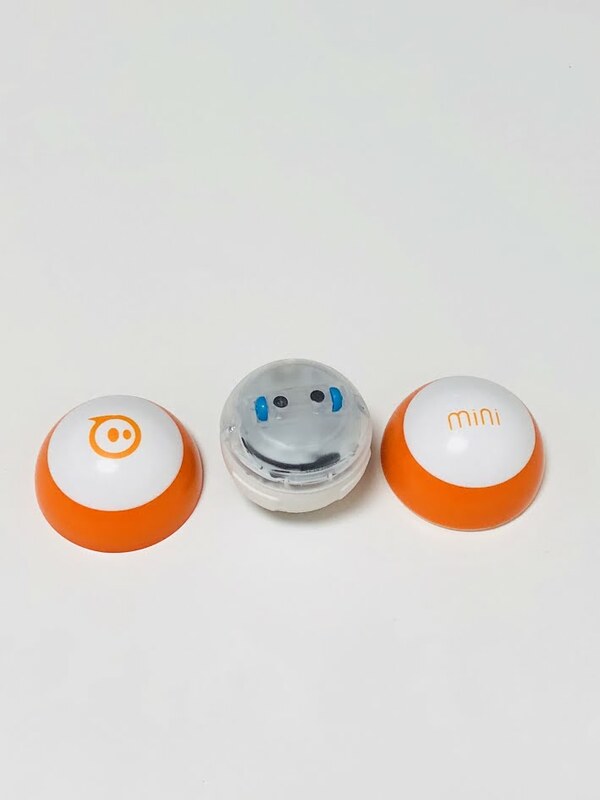 The Sphero Mini pairs with your smartphone over Bluetooth Low Energy (LE), which allows your phone to turn on the device remotely when you are ready to play with a minimal impact on battery. You can turn the Mini off using the app, but then you will have to turn it back on by plugging it into power. Keep this in mind to avoid serious disappointment when you (and your children) take this device on the go. There is a bit of work before you can get going with the Sphero Mini. 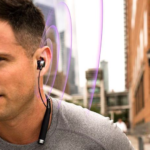 First, you will have to pair your phone and the Mini over Bluetooth using the app. This took me a few tries before my phone recognized the Mini, but since it’s been connected I’ve had no problems. You will then need to calibrate the Mini so the controls make sense relative to your current position. If you have done this with any other Sphero, then the setup process is exactly the same. Basically, you will rotate the device using on-screen controls until a blue LED light is facing you. The experience is pretty painless, but you will have to do this every time you physically change position. Once you’re in the app, you can toggle between various modes and control methods. There is a slingshot mode that is super fun for use with the bowling pins, and the tilt controls feel a bit like playing Super Monkey ball in real life (which isn’t a bad thing!). Occasionally, the Mini would get stuck in place and start spinning in place, but this all depends on the type of surface you have it on. I found that the Mini does really well on laminate flooring, a flat wooden table, and very short pile carpets. The Sphero Mini app also has some basic arcade games that let you use the device as a controller. One of the games is a top-down shooter, which sees you rotating the Mini side-to-side. 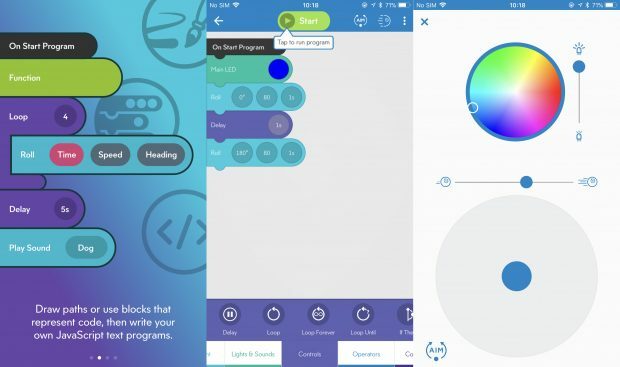 Alongside the Sphero Mini app, there is also a Sphero Edu app, which is designed to work with other Sphero devices as well. The app is a great introduction to basic programming and allows you to have some fun and see real-world results while doing it. The app lets you drag and drop boxes of code that will then run on the Mini. As a user, you don’t need to worry about the deep complexities of syntax. All you have to do is make sure the blocks are in logical order. You can start with your own program or tinker with pre-made options. Using this method, you will have greater control over the speed and timing. This allows you to accomplish impressive maneuvers that are very difficult to accomplish with a joystick. Overall, the Sphero Mini is a lot of fun in a tiny package. The accessories really make the device fun to use out of the box and the size makes it truly usable in a lot of environments. Things really open up when you start using the Sphero Edu app for the coding element. With some patience and practice, you can have a lot of fun while learning a useful skill. 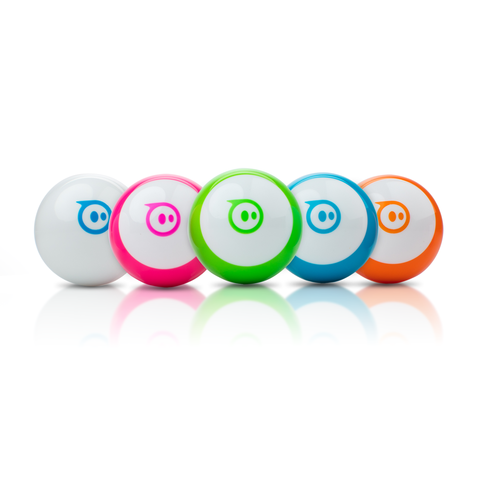 Sphero Mini is available directly from Sphero for $49 USD. Most colour options are already sold out, but other retailers like BestBuy may have them in stock in your area.